At least 14 civilians were killed Saturday in US-led coalition air strikes on the Islamic State group's last holdout in eastern Syria, a monitor said. "Fourteen civilians, including five children under the age of 18, were killed in the coalition air raids on the villages of Hajin, Sousa and Al-Shaafa" in eastern Deir Ezzor province, the Syrian Observatory for Human Rights said. "The death toll is likely to rise due to the number of seriously wounded," Observatory head Rami Abdel Rahman told AFP. At least 9 IS jihadists were killed in the raids, he added. The coalition was not immediately available for comment. Strikes on the area intensified following an attempted jihadist attack on a coalition base in the nearby village of Al-Bahra, the Britain-based monitor said. IS overran large swathes of Syria and neighbouring Iraq in 2014, proclaiming a "caliphate" in land it controlled. But the jihadist group has since lost most of its territory to various offensives in both countries. In Syria, the group has seen its presence reduced to parts of the vast Badia desert and a pocket in Deir Ezzor that contains Hajin, Sousa and Al-Shaafa. A Kurdish-Arab alliance backed by the coalition launched an offensive in September to wrest the Deir Ezzor pocket from IS. 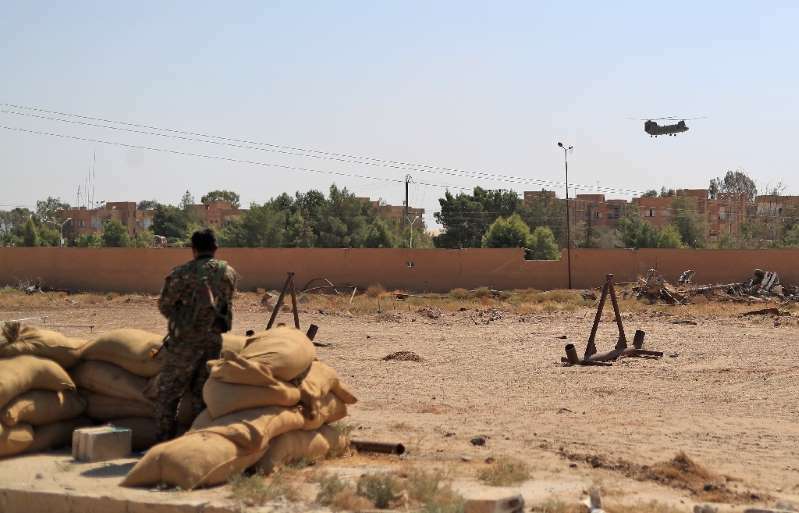 But on Wednesday the alliance, the Syrian Democratic Forces, suspended its fight against the jihadists after Turkish forces fired on the group's positions. The coalition estimates that 2,000 IS fighters remain in the Hajin pocket. A total of more than 360,000 people have been killed since Syria's war erupted in 2011 with the brutal repression of anti-government protests.